You found the perfect elements for this picture ! Great layout ! Oh, those die cut leaves are perfect! Super cute! Love the colors in this! Fantastic! Lovin those leaves, a perfect touch. great page! pic and the paper work great! OOooo I love this!! All my zoo layouts look the same. This is so fun!!! 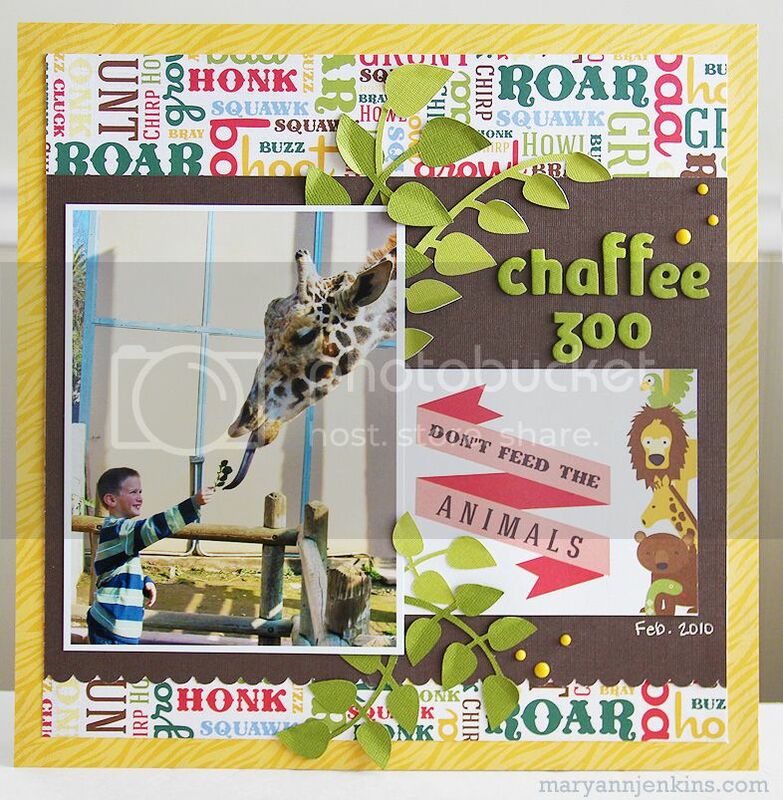 Awesome layout Mary Ann!! I love the large photo and you rocked the EP collection!